The psychological complexity of Shakespeare's characters has rendered them timeless. 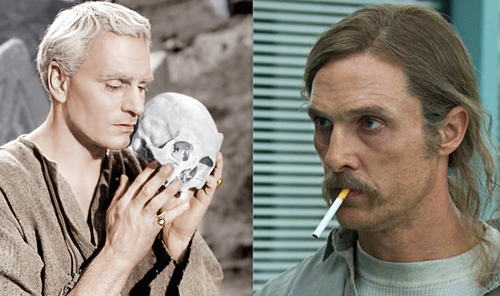 Today, we see The Bard's influence in shows like 'Breaking Bad' and 'True Detective. '\r\n<br><br>\r\n<i><u>Literature Set: Shakespeare's Tragedies (Text 6)</u> -- This text provides background information and context that can help students better understand Shakespeare's plays. Assign this text to students after students have read one of Shakespeare’s tragedies. Encourage students to consider why “Shakespearean” characters continue to be so popular.</i>\r\n<br><br>\r\n<a href="https://files.activelylearn.com/Teaching%20Guides/Teaching%20Guide%20Shakespeare%27s%20Tragedies%20Lit%20Set%20Guide%20%281%29.pdf"
Why do Shakespeare and his characters continue to be so popular today?